Creating a biographical sketch of a specific 19th century individual isn’t easy. Though many girls and women kept journals, few have survived until today. Pioneer families had limited expendable income, and a journal would’ve been a luxury. Space in the covered wagons was limited, and their time was filled with physically and emotionally demanding work. Nineteenth century women were conditioned to control their emotions, and very few pioneer accounts include more than generalized information. Details regarding such intimacies as pregnancies, details of illnesses, feelings, or desires were never written about. Since Caroline and Helen were just regular girls, researching their childhoods is not particularly easy. Most of my research is conducted from central Texas, so I currently rely on whatever historical records that exist in online archives or through inter-library loan. Thankfully, both women led extraordinary lives, so a brief biographical picture wasn’t too difficult to create. Caroline Quiner Ingalls and Helen Ekin Starrett were born about nine months apart and died within four years of each other. Both women were the daughters of teachers, received excellent early education in their local public schools, and were both commended for their writing skills at a young age. Both became teachers, and both left the classroom after getting married. And both women were pioneers—just in vastly different ways. Pioneers set off on the Oregon Trail. Both Caroline and Helen would have seen caravans such as this as the migration westward was in full swing in the 1860’s and 1870’s. These two women witnessed mind-boggling progress. They saw scores of families set off on the Oregon Trail in horse-drawn wagons. Both read about brand new transcontinental railroad. They saw the first bicycles and automobiles and airplanes. They sent the first postcards by Pony Express and made the first telephone calls and heard the first radio broadcasts and had their photographs made by the first commercially affordable photographers. They knew people who participated in the Gold Rush, the Civil War, and WWI. Both lived in homes before light bulbs and toilet paper. They saw slavery abolished, 22 new stars added to the US flag, the beginning of Prohibition, and the ratification of the 15th and 19th Constitutional Amendments. To say they lived in times of change would be an understatement. Most of Caroline and Helen’s contemporaries didn’t think for themselves about themselves. Male dominated clergy dictated female feelings and behavior, and most women never outwardly questioned this. Long established conventions, laws, and fashion served as constant reminders of their physical and intellectual inferiority. 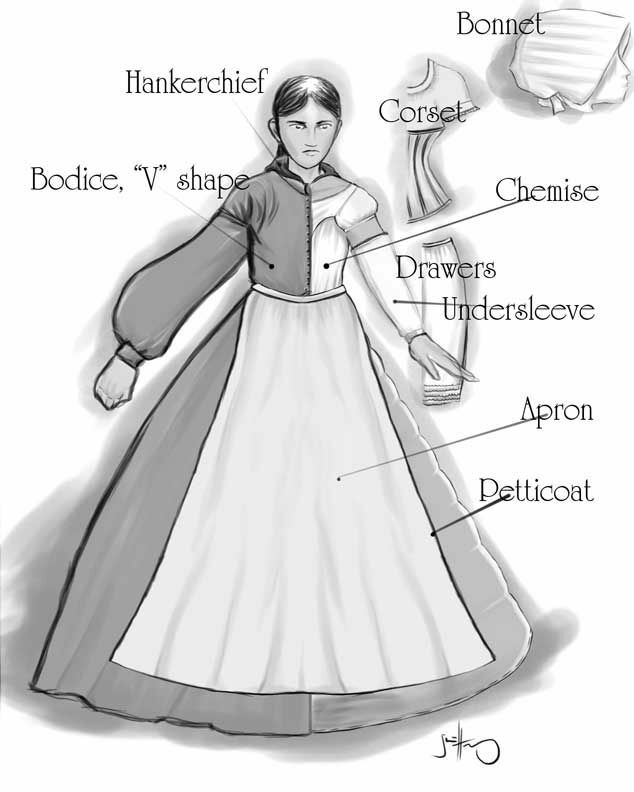 Many women perpetuated this illusion, and clung to impractical corsets and skirts and traditional domestic duties—even when their significant duties would’ve been easier without them. Expectations were high for women, and their work was undervalued, though it was often harder and infinitely more isolating than their husbands’. 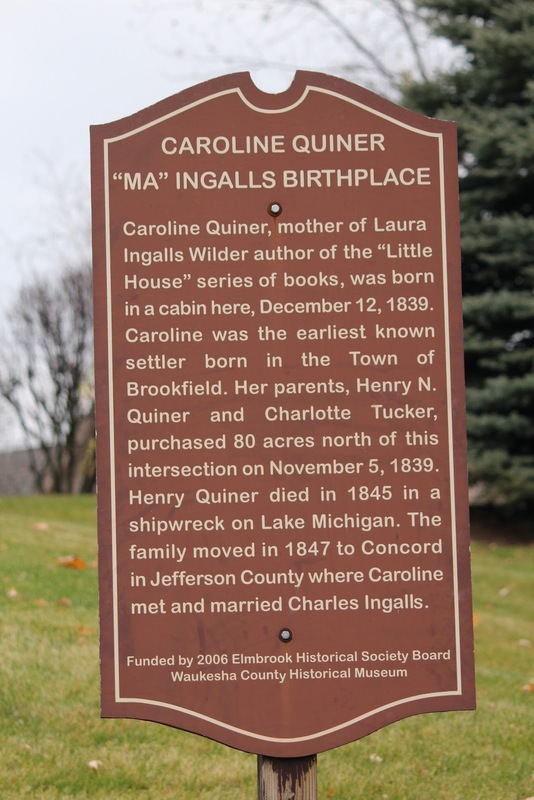 The land where Caroline Lake Quiner was born has been commemorated by a Wisconsin State historical marker. It is in Brookfield, Wisconsin. Caroline Lake Quiner was born on December 12, 1839 near Milwaukee, Wisconsin. Her father died aboard a trading schooner on Lake Michigan when she was five, and from then on, she assumed a domestic workload heavier than that of her peers. After her mother’s remarriage to Frederick Holbrook, a chronically-ill farmer, four years later, her demanding workload continued. Though she was a gifted student, she never utilized her skills outside the limitations of girls of her time. 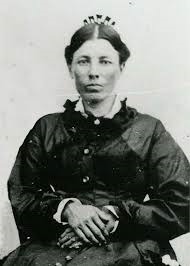 Before the age of 17, she became a teacher, but left the classroom in 1860 when she married Charles Ingalls. Her new husband was an enthusiastic, storytelling, fiddle-playing, jack-of-all-trades with no business sense. His wanderlust repeatedly uprooted his family, regardless of the consequences. 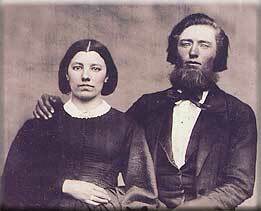 The newlyweds, Caroline and Charles Ingalls, pose for a photograph to commemorate their mariage. Photo circa 1860. I really wish I had an image of Helen and William together. In the 19th century, a wife’s place was with her husband, and while Charles may have valued Caroline’s opinion, he made the decisions. She was bound by tradition and law to follow him. Laura is quoted to have said “Ma followed Pa wherever he went, but Pa never went anywhere Ma wouldn’t follow.” The newlyweds settled near their families in Pepin, Wisconsin, where their first two daughters, Mary and Laura, were born. Robinson Township, near Pittsburgh, Pennsylvania. The exact location of the Ekin property is unknown. Helen Ekin Starrett was born September 19, 1840 near Pittsburgh, Pennsylvania. Her parents were Quakers, a society that placed a heavy importance on education and gender equality. Upon her high school graduation, she started teaching and quickly became principal of two different female schools—one in Pennsylvania, the next in Kentucky. 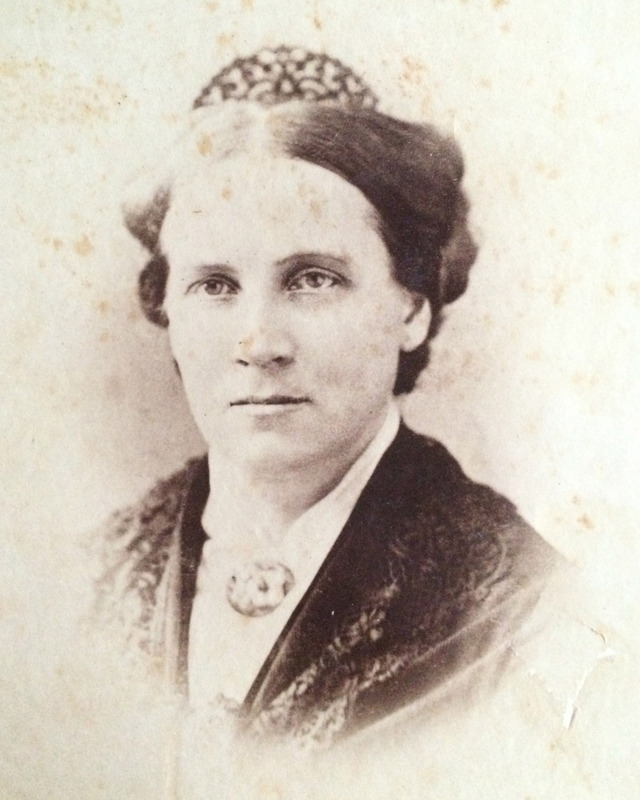 At the onset of the Civil War, her father called her to join him in the establishment of a female seminary in Ohio. In 1864, her childhood sweetheart, an intellectual and religious scholar fresh out of Princeton Seminary with his first pastoral assignment, made his way to Ohio, and the two were married. Helen independently made the decision to accompany her husband, the Rev. William Aiken Starrett, to the recently ransacked frontier city of Lawrence, Kansas. Rev. 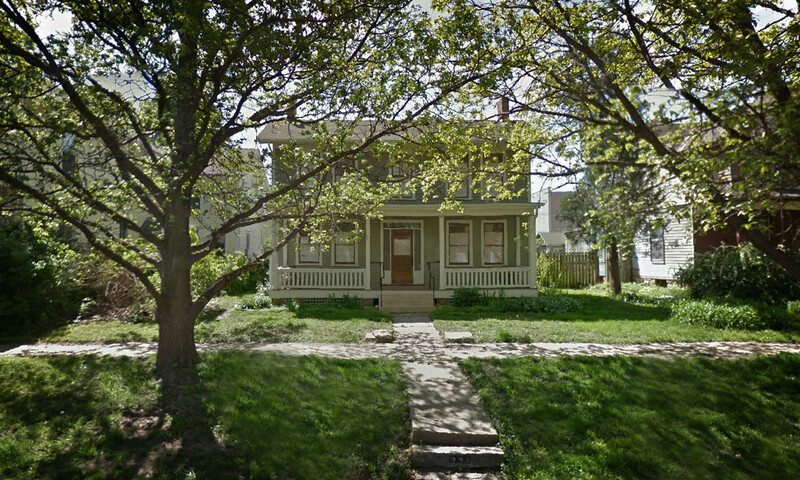 William Starrett had been in Lawrence, Kansas during Quantrill’s Raid as a guest in this house. Perhaps the rooms he rented for his new bride were near the room he had been occupying during the Raid? There is no record. The Starretts’ first home together consisted of four rooms rented in the upstairs of a large Lawrence home that had survived Quantrill’s Raid six months earlier. To supplement his meager pastor salary, William became editor of the Lawrence Daily News, was elected as Douglas County School Superintendent, and was a founder and regent of the University of Kansas. Helen immediately began the work of a pastor’s wife, leading charitable groups, teaching music, and assisting her husband with his newspaper and superintendent duties. 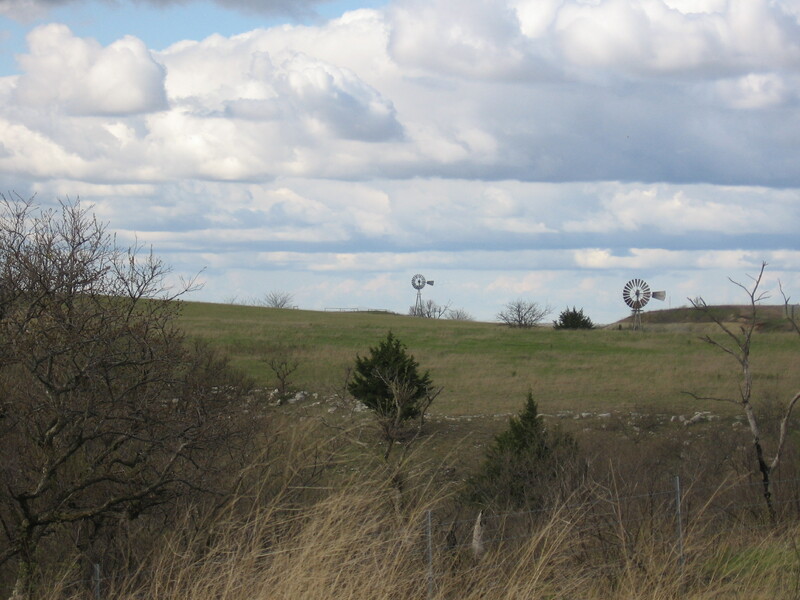 The farmland in northeastern Kansas as it looks today. It has undoubtedly not changed much in the last century. Rev John Ekin purchased the land on which Helen and William would build their first home. In 1865, Helen’s father made what promised to be a lucrative land deal, and purchased 20 acres of farmland in North Lawrence north of the railroad tracks. It was on this land that Helen and William began their family with their first two children, sons Theodore and Paul. Southeastern Kansas as it looks today. This is the land that Charles Ingalls saw and thought, “I think this is where we will stay!” Little did he know, that decision would be so important to so many people. Four years after the Starretts arrived in northern Kansas, the Ingalls family began to hear rumors of cheap land in Kansas. They sold their Wisconsin property and traveled to the outskirts of Independence, Kansas where they joined thousands of illegal squatters who were settling settled deep within the boundaries of the Osage Diminished Reserve. 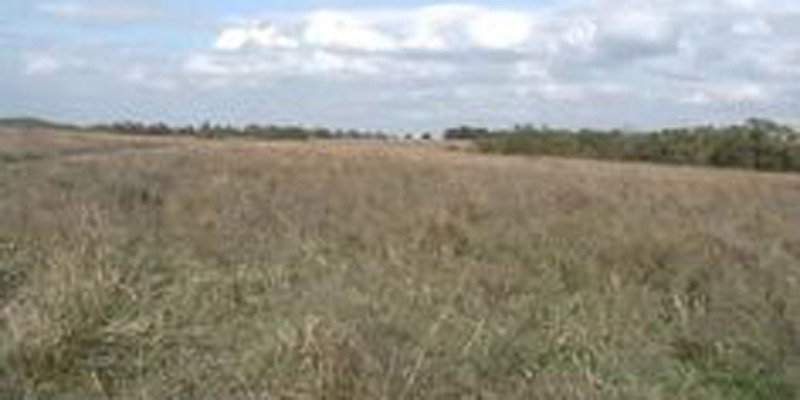 This narrow strip of land in southern Kansas was rumored to soon be available to homesteaders directly from the government. To circumvent inflated land prices should the railroads gain title first, many settlers directly paid “rent” to the Osage in order to squat, thus giving them rights under the laws of Preemption. It was a risky and complicated endeavor, but the potential for a profitable outcome was alluring to the everyday settler. Today, we could drive from Lawrence to Indepence for lunch and back. But in Helen and Caroline’s time, it more than likely would’ve taken more than a day. No satellite radio, no DVD player to keep the kids busy. No air conditioning. No pit stop at Sonic for a Rt44. Homesteading was NOT for the weak! Though only separated by 140 miles of flat, open, Kansas prairie, Helen and Caroline were worlds apart. Thank you SO MUCH!!! So exciting! It’s part of a series, so I hope you’ll be back. Very interesting. I love Little House everything. I just finished reading The Caroline Years series to my daughter. I’m sure you have read those books as well as the letters they are loosely based on from Laura’s aunt Martha, Caroline’s sister. I think it’s interesting how much many of us love to imagine living in those times yet aunt Martha tells Laura it was so hard at times that they really wished to forget about it. They worked hard and had very little. Today it’s the opposite but we seem to crave the simple things. I enjoyed the article and will read the series. Thanks!